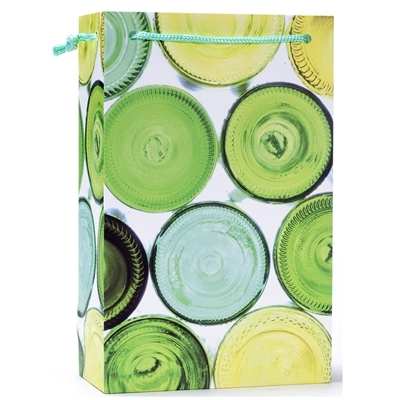 2-BOTTLE PAPER WINE BAG. Our exclusive designs on coated paper. Bag features loose rope handles and gift tag.